Stunning sunset at the Balconies Lookout in Victoria, Australia. The Balconies, also known as Jaws of Death, are only ten minutes from the Reed Lookout car park. 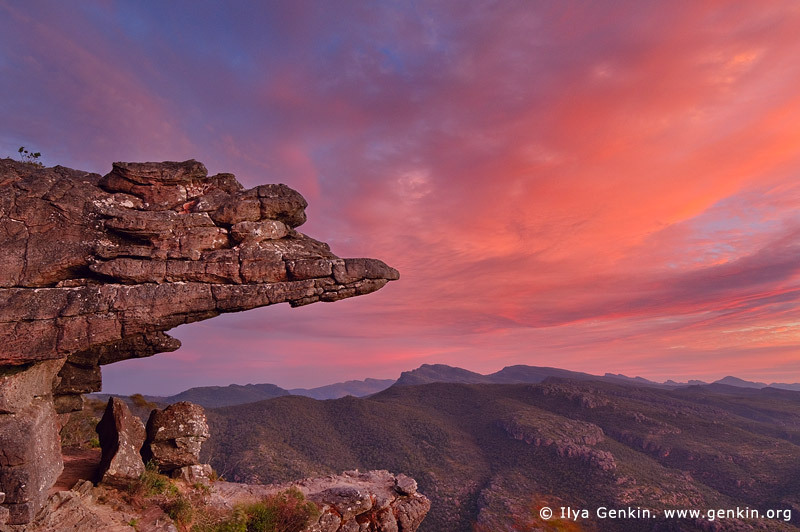 This image id GRAMPIANS-0013 of Sunset at the Balconies Lookout (Jaws of Death), is copyrighted © by Ilya Genkin. This is not a public domain image.